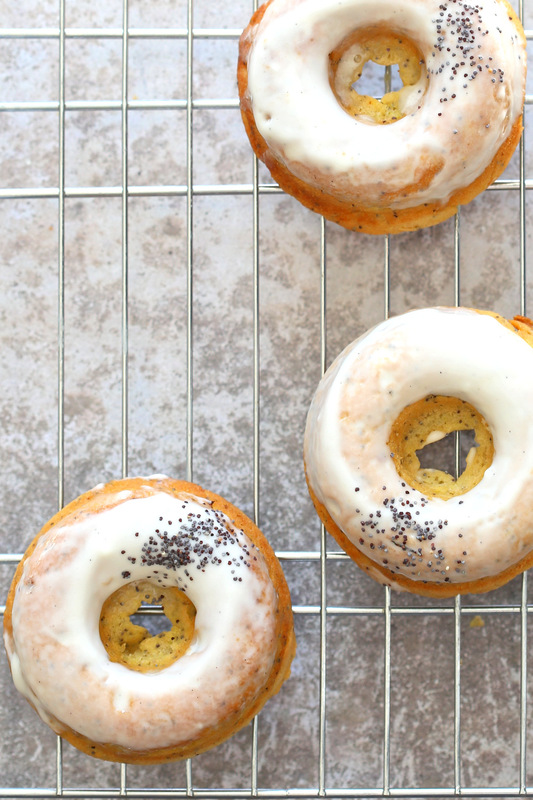 These donuts are soft, zesty, lemony! and beautiful with a sprinkling of poppy seeds! The batter needs just 1 Bowl, 15 Mins active time, then a wait to bake and cool, Make a double batch and freeze for quick snacking. Use chia seeds for variation. 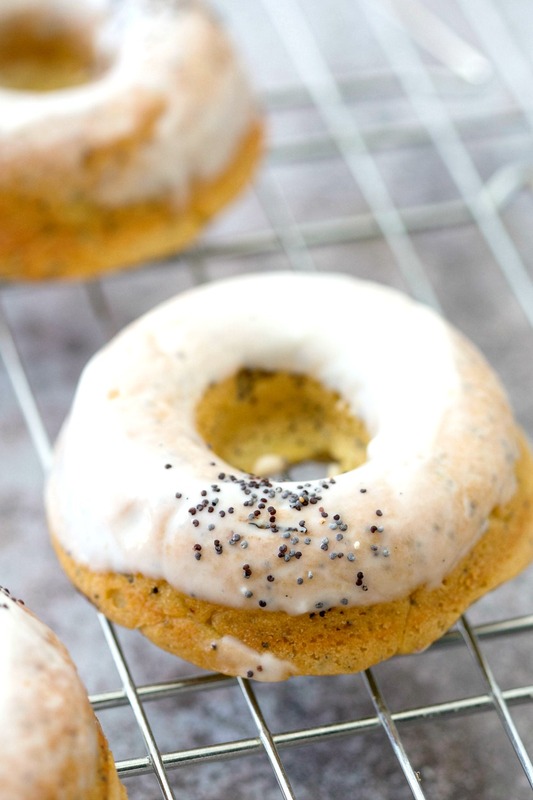 The batter is similar to my lemon cake batter with poppy seeds mixed in. 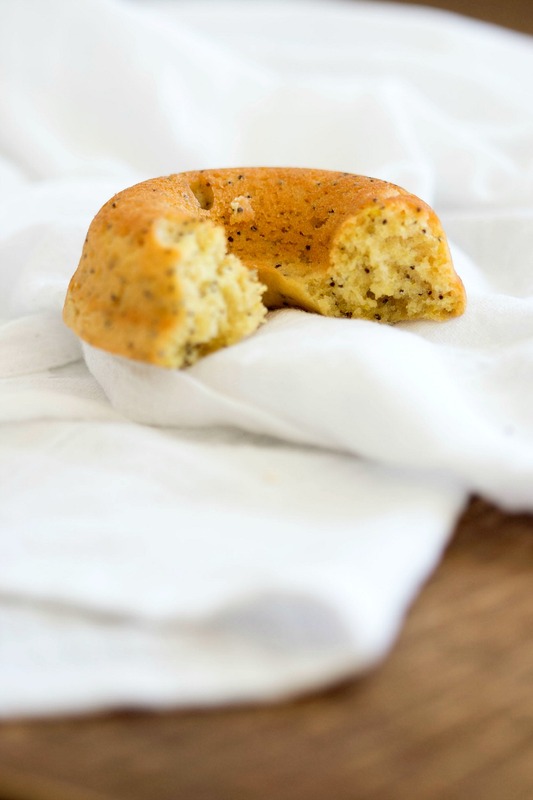 Pour into donut pan or lined mini muffin pan. Bake until golden. Dress with simple lemon sugar icing or vegan cream cheese frosting or just toss in some sugar and done. So Delicious! 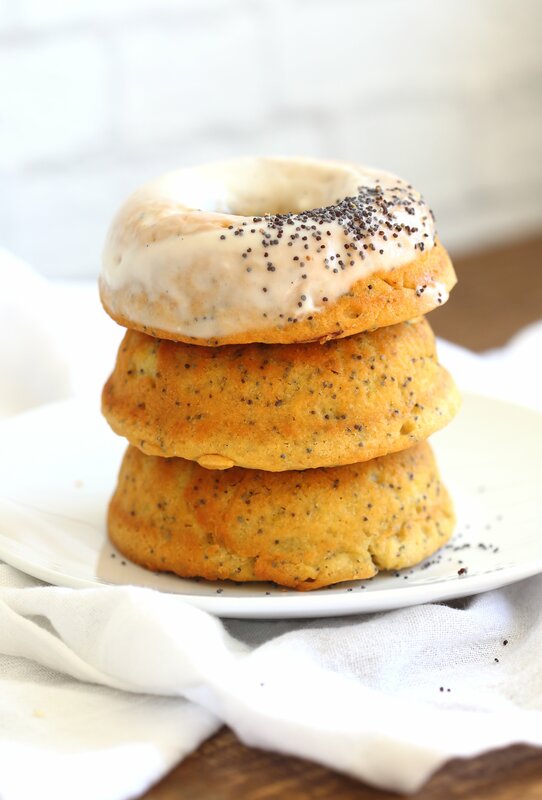 Lemon Poppy Seed Donuts - Vegan Lemon Poppy Seed Donut Recipe. Simple to make and ready in less than 30 minutes. Add my cream cheese frosting to make these extra special. Vegan Nutfree Soyfree Recipe. Preheat the oven to 350 degrees F (180 C). Mix the wet ingredients in a bowl until well combined. Bake for 20 to 22 minutes. Cool in the pan for 5 minutes then remove the donuts. (bake for 12 mins for mini muffins, 22 mins for regular size muffins). Nutrition is for 1 Donut. When your recipe calls for “starch” what kind of starch are you referring to??? Yummy. 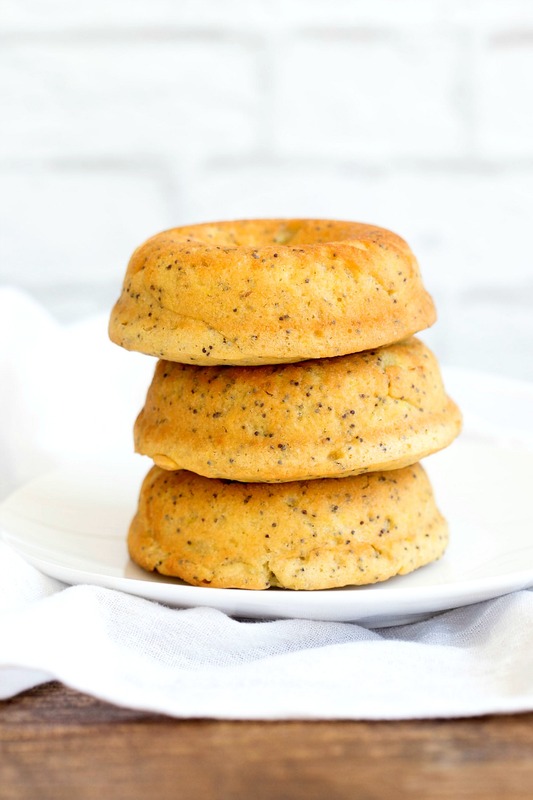 Poppy seeds and Lemon flavors! Could unsweetened applesauce be used instead of the oil? Could you substitute for the maple syrup or part of it? That is a lot of maple syrup considering the price of maple syrup.